We will again be running three strands: The first is on the main conference theme, the second is “Better Learn-ing” strand where anything goes and the third and final strand is our Technie strand. One of the problems about running this conference is finding presentations that will appeal to our cross section of attendees, from academics to system administrators, it specialists to librarians. This conference depends on people to put these kinds of presentations forward – so if in the past you have find that there isn’t enough presentations in the strand you want then we strongly encourage you to address this and propose attending and talking about something. The 18th Durham Blackboard Users’ Conference will commence with an “optional” free half day of pre-conference workshops and user group sessions on Wednesday, 3rd January (2-5 pm) followed by the Conference itself on Thursday, 4th and Friday, 5th January 2018! The pre-conference afternoon and the two day conference will be held again at the Durham Business School on Mill Hill Lane, Durham. Please note that the conference will close at approx 3.30 pm on the Friday afternoon and there will be a free bus back to the Railway Station direct from outside the Business School. There will be a number of pre-conference workshops and user group meetings scheduled for the afternoon of Wednesday, 3rd January 2018. This afternoon is free to Conference Delegates, however, if people wish to attend just the Wednesday afternoon and not the conference itself then there will be a small charge levied to cover costs. The afternoon starts at 2 pm and finishes at 5 pm. Tea/Coffee/Cakes are on at 3.15 until 3.45 pm. There is a short drinks reception at 5 pm for delegates attending the pre-conference afternoon. The call for papers is now open so start thinking about this now! We are delighted to announce that Katie Blot from Blackboard will be joining us here in Durham to give Blackboard’s take on our conference theme. 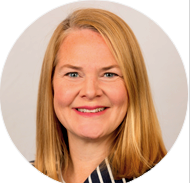 Katie Blot is the Chief Strategy and Portfolio Officer. In this capacity, she’s responsible for aligning Blackboard’s business to industry and customer needs – overseeing key functions including industry strategy and development, business line leadership, product and partner management, and marketing – and ensuring we build and deliver products and services that our customers love. We will once again be at Durham Castle for our hospitality evening. There is an option to buy a ticket (£4) for a Castle Tour from the Conference Registration Desk – meet at 6.30 pm in the Undercroft Bar. Please note the Bar opens at 6.00 pm until midnight. If you are bringing a car to the Conference you must put this on your Registration – if not please let me know well in advance – so that I can arrange a parking permit for you. If you have requested a parking pass please find a space in the Business School car park and collect your pass from the Reception Desk. We have ordered at 51 seater coach to come up to the Business School for 3.15 pm. We anticipate finishing at 3.30 pm and by the time everyone is on board it will leave at 3.40 to go to Durham Train Station. This is a conference organised by the user community, for the user community. Whilst we welcome the involvement and support of Blackboard and other commercial companies sponsoring the conference, they have no influence on the conference theme, the programme or the content. Delegates are free to offer constructive praise or criticism of any product as they see fit. This long-standing e-Learning event, in its 18th year, regularly attracts over 130 delegates – and the audience is a mix of repeat attendees and first time visitors: learning technologists, librarians, academics, administrators and even the odd manager. It is a great networking opportunity at a low price. Our prices are fixed at an Early Bird rate of £140, a Standard Rate of £160 and a late rate of £180. I am sure you will agree that you can’t attendance a conference at such a fantastic rate. Finally, our thanks go out to Durham University and to Blackboard Inc for making this conference possible. A special thanks to Pebble Learning for providing our much loved conference bars! Please show your appreciation to Matthew when you see him in January!